It can be a great experience when mixing products goes well, but it can also be risky. There have been times I thought that a product I was using would go well with the another and it just didn’t. I think we have all experienced a time when our hair products didn’t mix well. From flaking, to being too greasy, or just two products that all together are no good as a duo. While watching YouTube tutorials I came across a simple trick that takes the guess work out of pairing products. Take a small amount of the product you want to use and mix it with another on the back of your hand. If the hair products when rubbed together come out clear you have a perfect match, but if the products once mixed together begin to clump, they will not mix well when you apply them to your hair. This simple trick helped me to avoid wasting product and having to start over. Wash day is already such a process why make it harder. Thanks to future coldest tv YouTube channel I was able to find the perfect duo. I was looking to blend a product with my eco styler black castor and flaxseed oil gel. If you read my first post on the gel I used the product on its own. The second time I tried it I used it with Creme of Nature’s Pudding Perfection Curl enhancing Creme.The products blended very well. My hair was left soft and moisturized. If you enjoy mixing and matching products this simple trick could be a life saver. With this trick a bad hair day could be avoided. Remember, be happy, be curly, be you, and you will never fail. 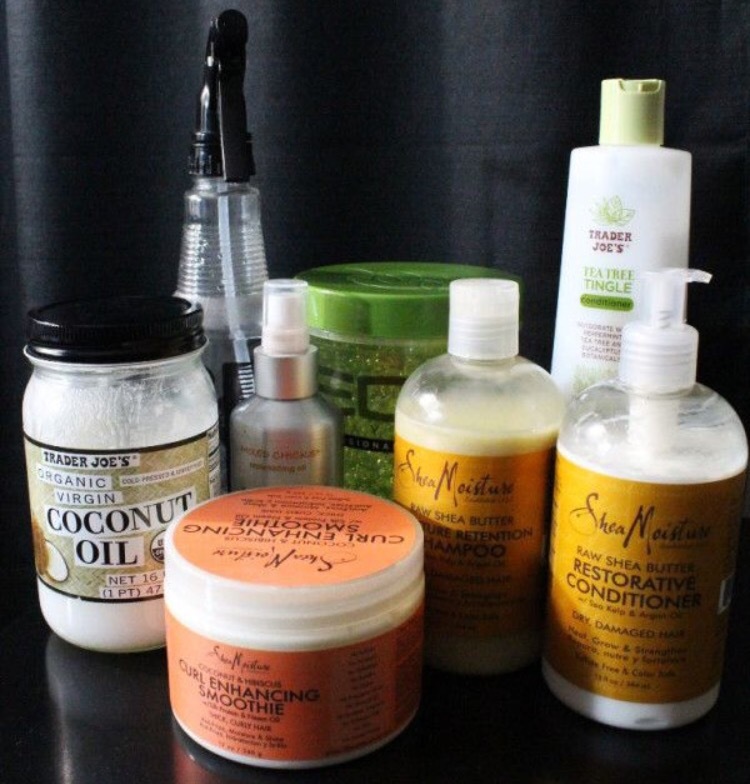 This Post was posted in inspiration, Wash Day Chronicles and tagged #naturalhair #curlyhair #bighair #blowouts #twistouts #naturalista #naturalhaircommunity # teamnatural # afros #bantuknots #naturalhairdos. Bookmark the permalink.